Thermal Imaging and Domestic Energy Advice. Find out where your precious heat goes and get big tips on energy savings specifically for your home in North West Tasmania - Australia. Have you ever wondered why energy bills are so high for your home and considerably less in other homes? Now is the time to get the Centre of the Universe to pay you a visit and tell you why. 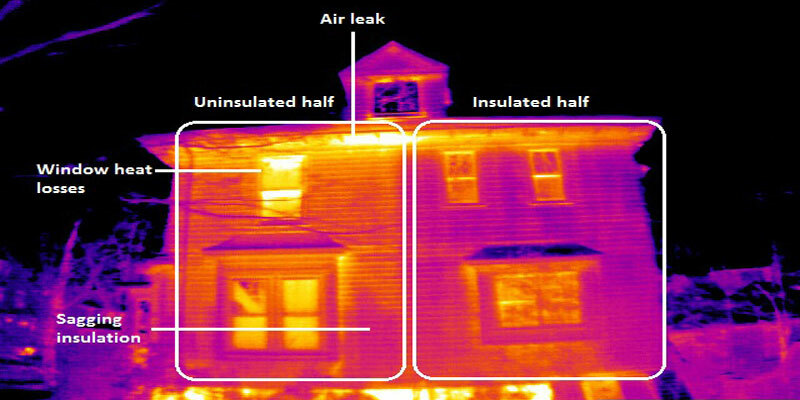 External thermal imaging of your house to show where insulation may be damp, missing, sagging or not installed to visually show you where most of your heat goes and what you can do about it, including common sense band-aid solutions to reduce your energy bill. A quick walk through the house with the occupant to show us your heating, your fridges, hot water system, discuss your regular habits and your lighting. A follow-up report within 5 business days to outline the results and recommendations. Inspection of your last electricity bills and a calculation of how much you could save with a forecasted bill estimate and cost-benefit report. Just build a home? More often than not builders put plaster up before you get a chance to see if the insulation is put in correctly. Centre of the Universe can come and take thermal images of your walls to predict exactly where the insulation may be incomplete. Don't wait till you take occupancy, get this sorted now! 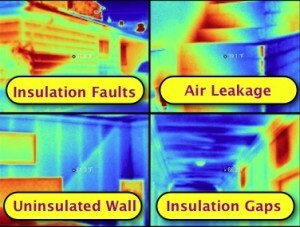 Complete thermal wall inspection to verify insulation is installed everywhere.